Feeling frisky in my cat print dress from Anthropologie with a chunky necklace and Stella McCartney sunnies. Your style is so cute! Love the first outfit especially... looks like you're having a fantastic time at NYFW! Great shots! Looks like you hit so many fun events and places! I love your lipstick sweater! So cute! Looks like a simply amazing time! I love all of your looks! That is so awesome that you got to speak at the IFB Conference. Lovve your J Crew shoes! You pictures are over all awesome <3!! adore that milly dress, so flattering and sultry. and i am drooling over your j. crew pumps! must admit, milk bar is a bit more elementary in taste than i would have hoped; tried their candy bar pie awhile back when hosting some friends who wanted a touristy experience. it needs a healthy dose of bourbon to up the sophistication a bit. Omg looks like such an amazing time! Lucky you. ohh lovely post ! Thanks for sharing your NYFW outfit , I love it ! great snaps! looks like you had a wonderful time! Love all the photos and that cat dress is to die for. It was great meeting you at IFB and thanks for the sound advice! Looks like you had a fantastic time! Great shoes - nice pick! And that lips sweater is adorable! Looks like a fantastic week! 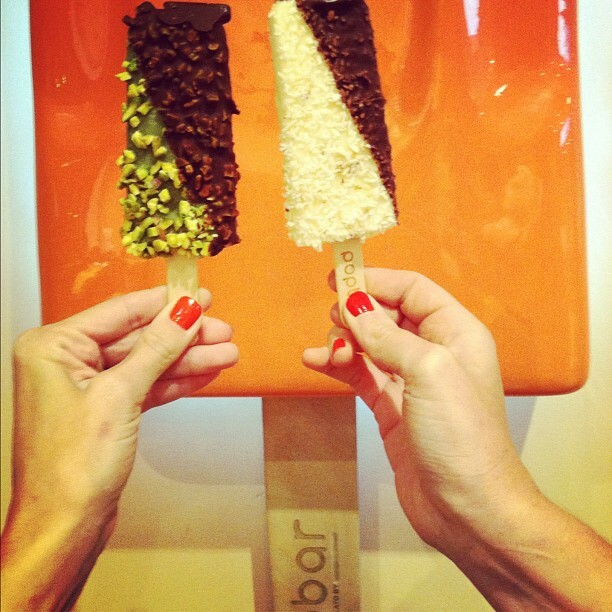 Love the shots of the popsicle & ice cream- must haves! great photos- looks like you had a fabulous time!! 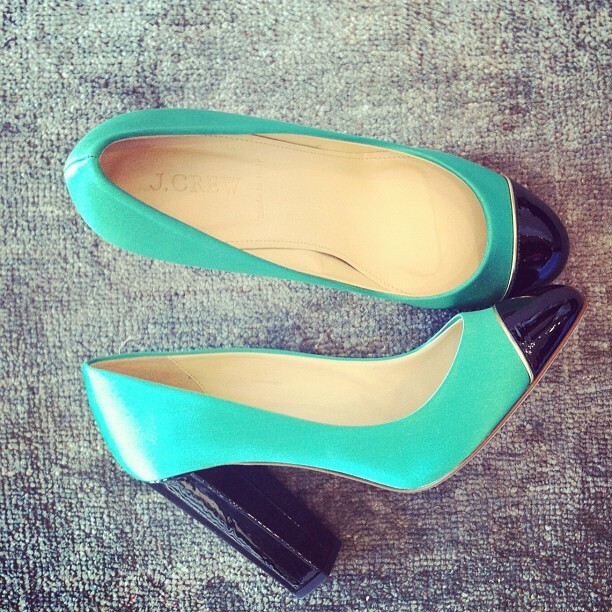 i am dying over those jcrew heels... so darn cute. 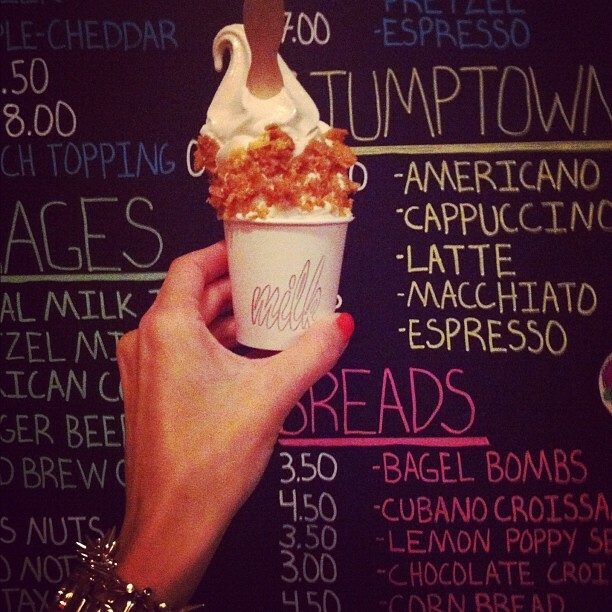 and the cereal milk soft serve at milk bar is one of my favorite things in life... ever. This looks like so much fun! I would have loved to hear you speak. Those shoes from J.Crew are amazing! Love these pictures! Ahh I wish I could be at fashion week, but I especially love that outfit in the first picture... perfection! What great photos. You look fab. That last pic just made me HUNGRY! & NicRi is to die for. Love her. 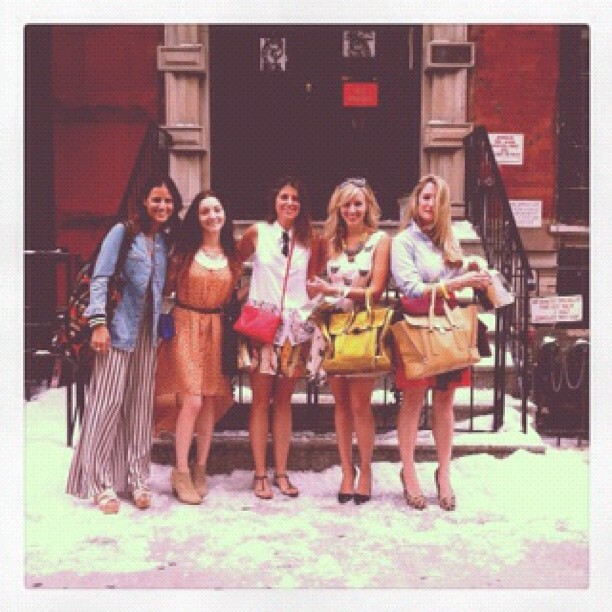 It looks like you had so much fun in New York and I love everyone of your outfits! 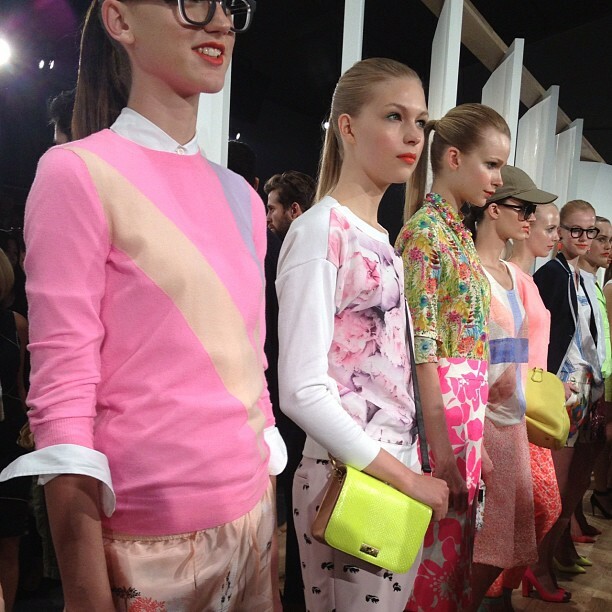 I'm drooling over the J Crew collection too...I loved the bright toe cap shoes!! the first shot made me smile because I have those zara heels AND I just got a zoe karssen tee, therefore, I must be cool like you! wow those turquoise heels are amazing! Lovely photos! very jealous of you right now :) but really inspiring to see you doing well! 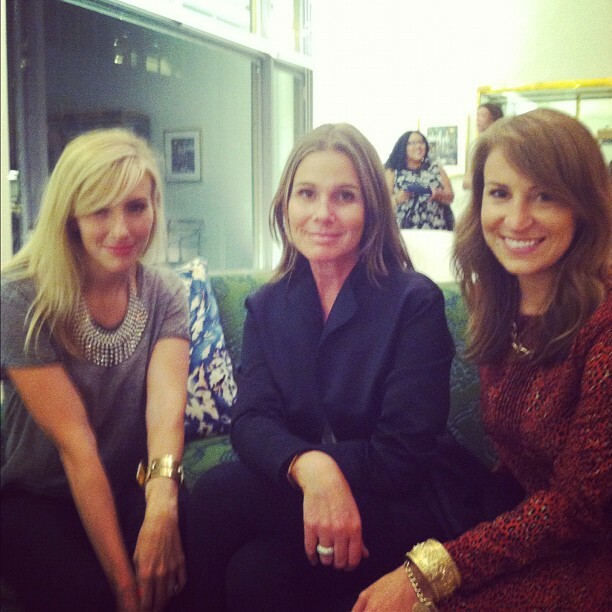 I adore that J crew collection too! I want. Super cute shots! Looks like such a fun time! Can I be you? Love everything about this post -- especially all of your adorable outfits! So fun! Thanks for sharing these pics- looks like you had an amazing time! thanks for sharing your pics .. all your outfits were gorgeous. Just found your adorable blog through..somewhere on the internet. ha! Your outfits are so cheeky - I love it! 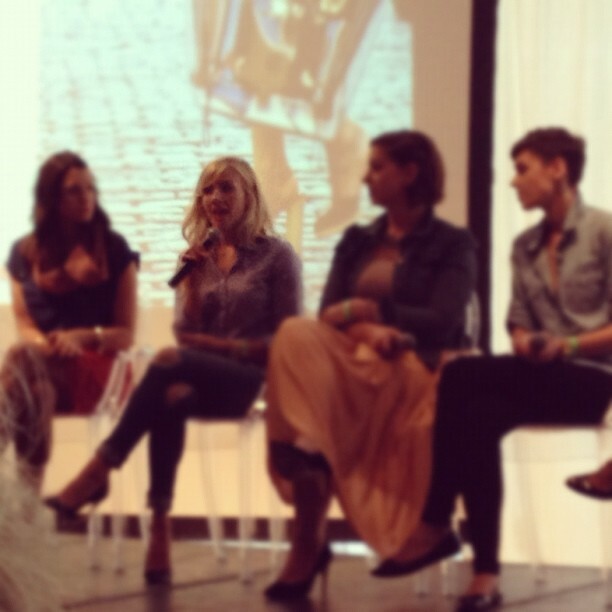 Also, I love finding other bloggers who balance style & health! I love workouts that are focused on functional movements. Next time you're in NYC, you should definitely take a Refine Method class. It is kind of like a watered down version of CrossFit and a bit more geared towards women, but an incredible workout nonetheless! what an amazing time at NYFW!! i'm just reminiscing about your post way back when where you told everyone you were going to start the glitter guide and it's so exciting to see how far it's gone! so so happy for you taylor! :) so much deserved!! Looks like such an amazing time! This sounds like the best few days ever! Looks like a lot of exciting things are happening for you/glitter guide. Congrats! Thew cat dress in amazing. Loving the prints in so many of these! The kisses are tres chic. I'm hosting a $100 Lulus.com gift card giveaway on the blog. Hope you can enter!